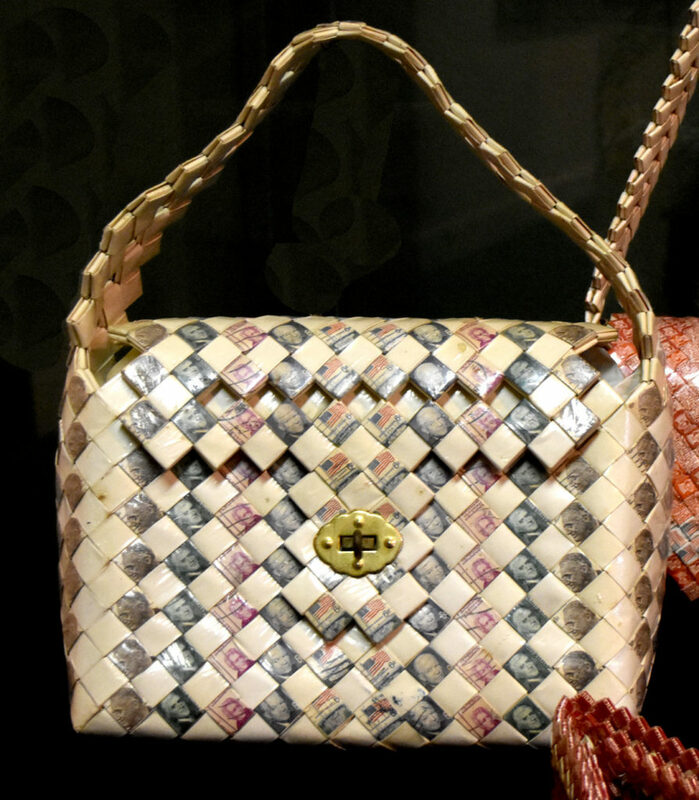 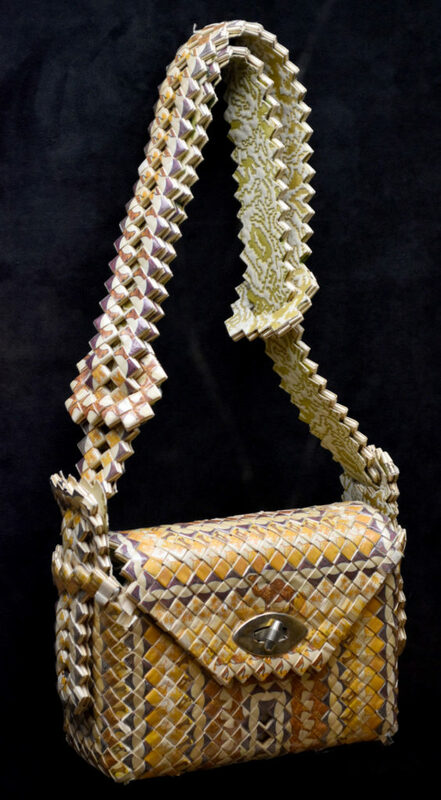 In 1941, Shawn Powell, a young man from Oakland, crafted a purse (pictured above) while serving a homicide sentence in San Quentin State Prison in California. 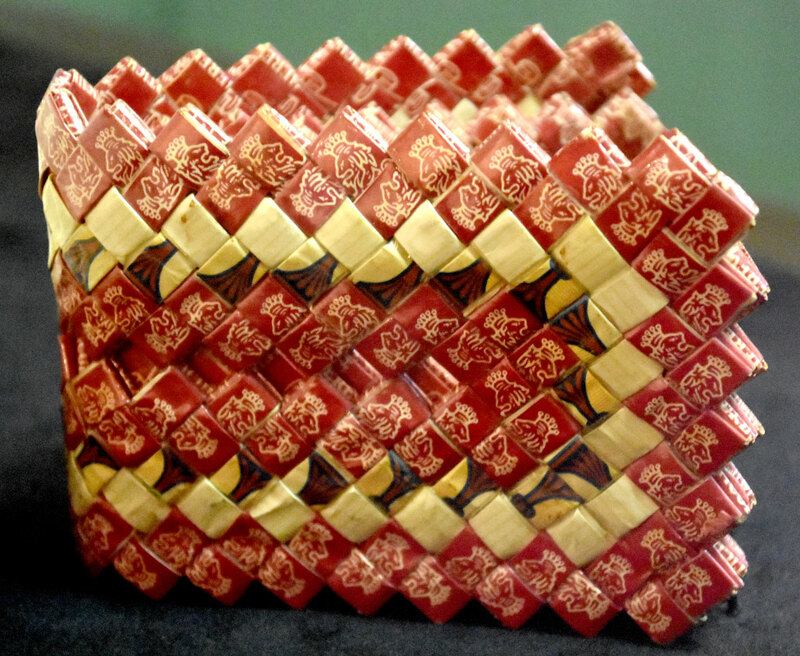 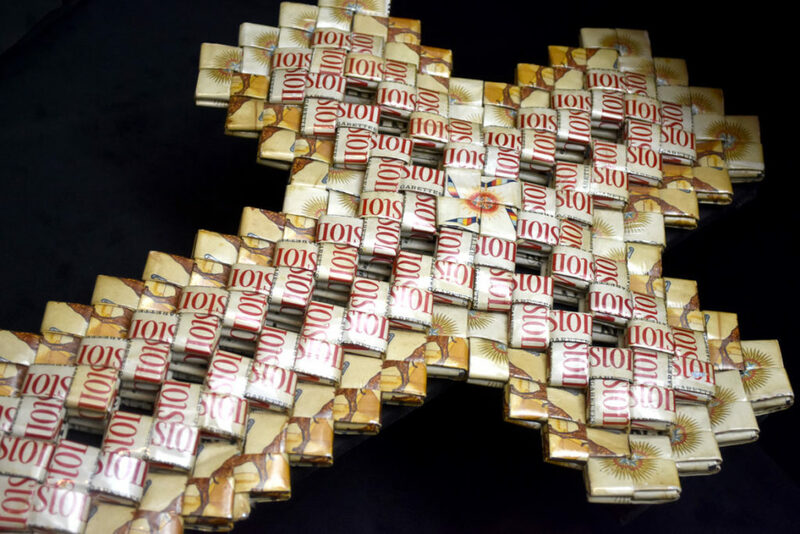 Using a meticulous technique taught in some prisons as rehabilitation or way to make money through the prison commissary, he wove nearly 1,500 Marlboro cigarette boxes into a handbag for his mother. 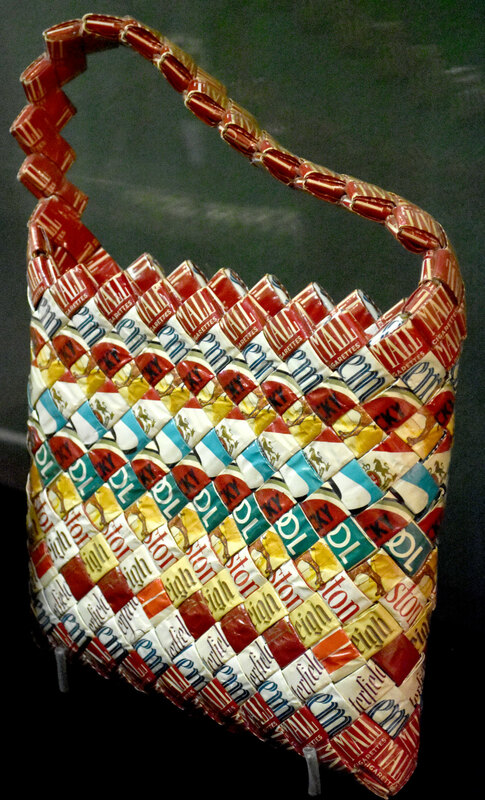 It’s one of the purses, wallets and even a toy dog featured in “Inmate Ingenuity: The Cell Solace Collection,” an exhibition at the Museum of the National Center of Afro-American Artists in Boston’s Roxbury neighborhood through Jan. 12. 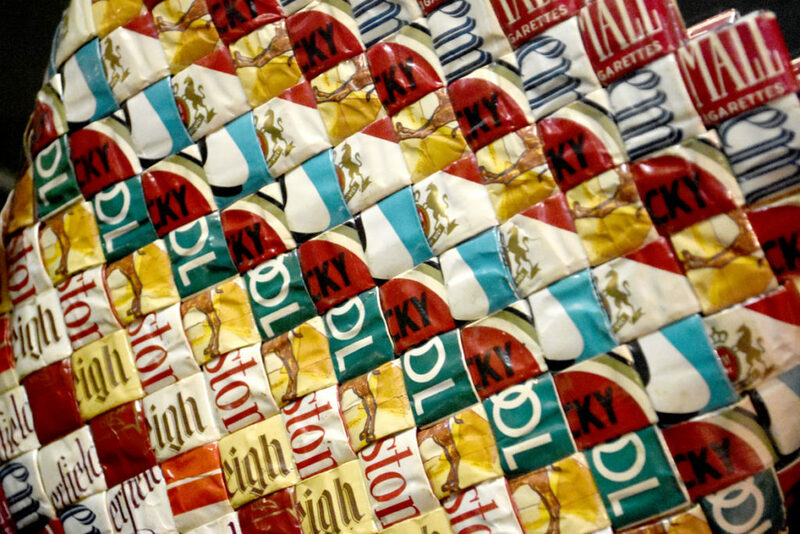 They’re all marvelously pieced together from postal stamps or by folding and weaving cigarette cartons. 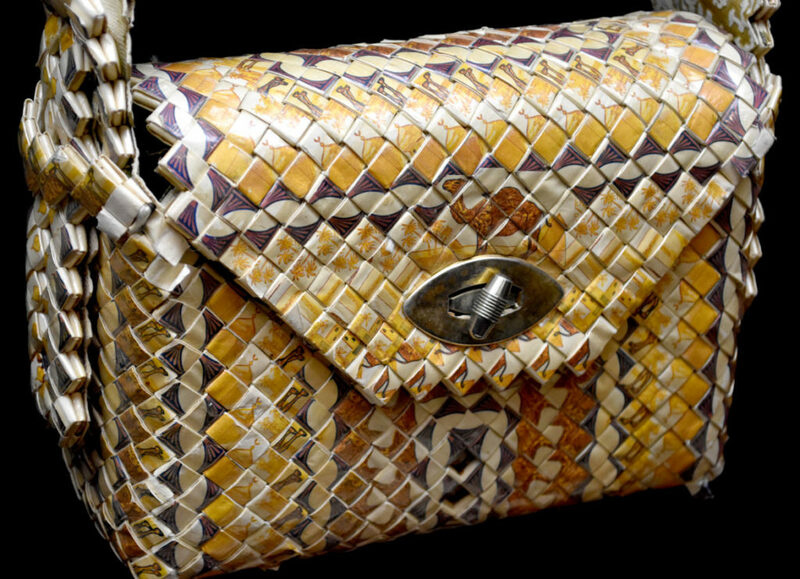 The 22 pieces were made by 18 prisoners in American jails in the second half of the 20th century. 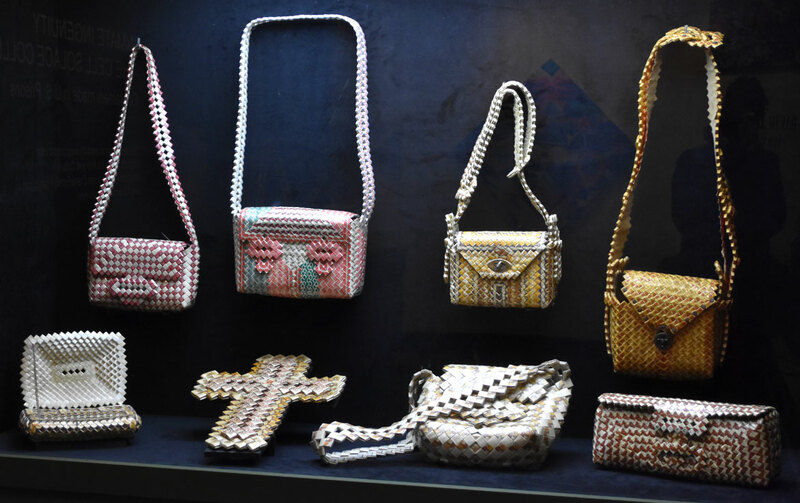 They come from the collection of Antonio N. Inniss, who grew up in Roxbury and “spent his formative years” in Boston and Los Angeles. 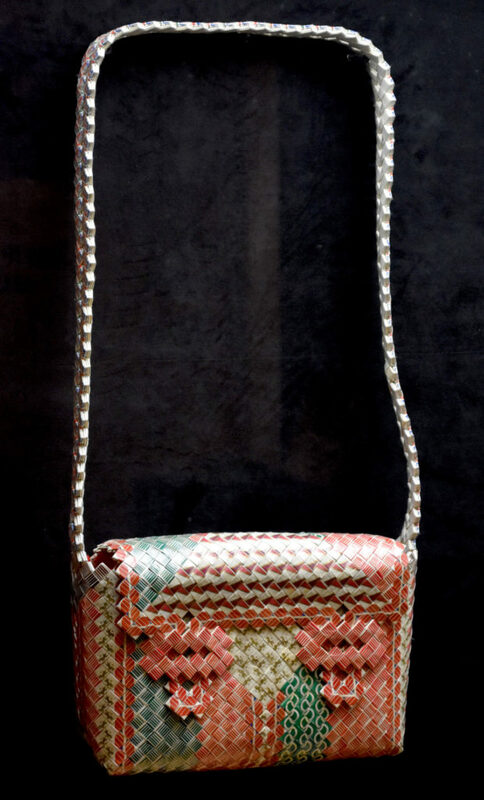 His collection was inspired by purses a friend of his father had made for Inniss’s mother and the man’s girlfriend while incarcerated at New York’s Rikers Island. 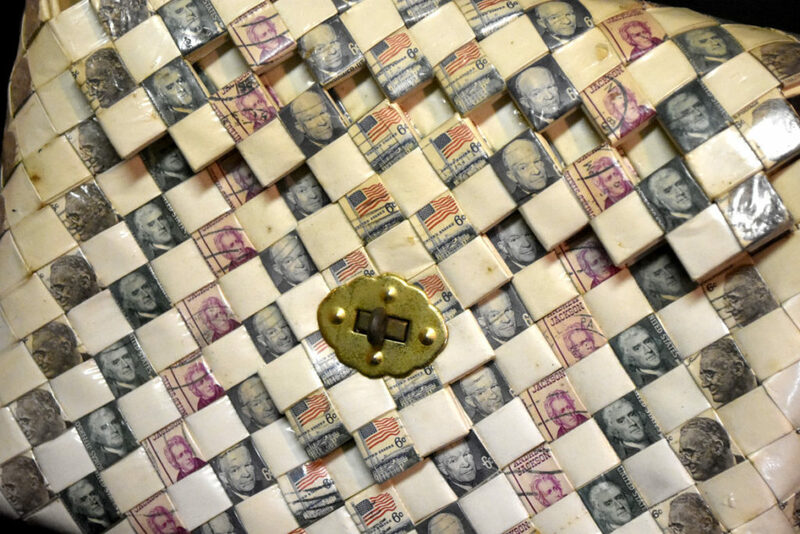 The exhibit is both a celebration of beauty and a window into mass incarceration, dubbed the “New Jim Crow,” in which black and brown Americans are disproportionally and unfairly imprisoned in this country, disrupting families and communities.